Find out how we continue to pump electrical savings back into the Oklahoma City Memorial and an inside look into the components that run the reflecting pool. It takes a lot of planning to create a water feature that’s both ascetically pleasing and operationally efficient. While we’ve worked on several memorial water features, the Oklahoma City Memorial is our greatest example of how attention to detail in the design phase can create not only a stunning memorial, but also a monetary savings for the organization sponsoring it. 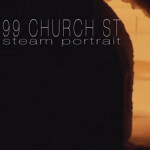 The original design was awarded to another fountain designer. The design, while it aesthetically met all the requirements for the client, was not mechanically efficient for such a project. The design called for four 40 horsepower pumps fit for a higher head application, sand filters, and no P.E. seals on any of the fountain system drawings. It’s this lack of attention to detail on such an important feature that caused us to voice our concerns with the design to the architects in charge of the Memorial, and ultimately to be awarded the projected redesign. A P.E. stamped set of drawings is a confirmation that a professional engineer has looked over and approved the system design. This seal provides a “mark of reliance” that a professional engineer with the highest standards of knowledge and skill has reviewed the drawings. While this is not a guarantee or warranty for the design, it does mean the design is more likely to operate efficiently. In the case of the original Oklahoma City Memorial site plans, every aspect of the Memorial had been stamped by a P.E. except the reflecting pool design. This was a red flag to our company that there might be a lack of attention to detail in the design, and indeed there was. 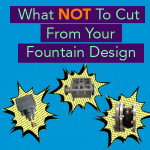 Water quality is always important, but never more so than in a water feature that might come in contact with the public and operate over jet black granite. The original design called for sand filters. Sand filters, which are often selected due to their simplicity and easy maintenance, are one of the least effective ways to sanitize water. Sand filters only trap down to 20-25 microns and leave room for impurities and microscopic organisms to build up in the water that may cause and recreational water illnesses (RWIs). In order to avoid these negative side effects, we engineered the electrical and mechanical design for the water flow and provided custom equipment―including a state-of-the-art chemical feed system―that allows timed or continuous monitored feed functions to balance the water chemistry. The chemical feed system is industrial, sophisticated, responsive and able to maintain pristine water quality, allow for biological control, and prevent corrosion and scale. The filtration design, a multi-vessel automatic backwashing bag filter system, reduced the needed footprint and was more eco-friendly. The bag filter system uses air, not water, to backwash each individual vessel, allows continuous filtration, completes in seconds, and uses less than nine gallons of water per vessel. In contrast, a typical sand filtration system completes in minutes, uses hundreds of gallons of water, and has less versatility for eliminating small debris. The inefficiencies in the pumps originally specified also lead to major concern for us. Four high RPM 40 horsepower pump motors, even on as large a surface that the Memorial provides, does not create a glassy, reflecting surface. Instead, it uses unnecessary movement along the surface and an increase in electricity needed to operate the pool. In order to accommodate the fast-engineered 8,500 gallons per minute pump rate, we had to specially design a hidden basin to get the pool’s glassy look. We equipped the pool with low RPM 25 horsepower motor and a more efficient pump that allowed for a decrease in electrical use while also enhancing the flow characteristics. This decrease has led to an electrical savings of roughly $600,000 since the Memorial’s opening in 2000 (based on Oklahoma’s electrical cost per hour). At Delta Fountains, we advocate attention to detail in every phase of water feature creation. 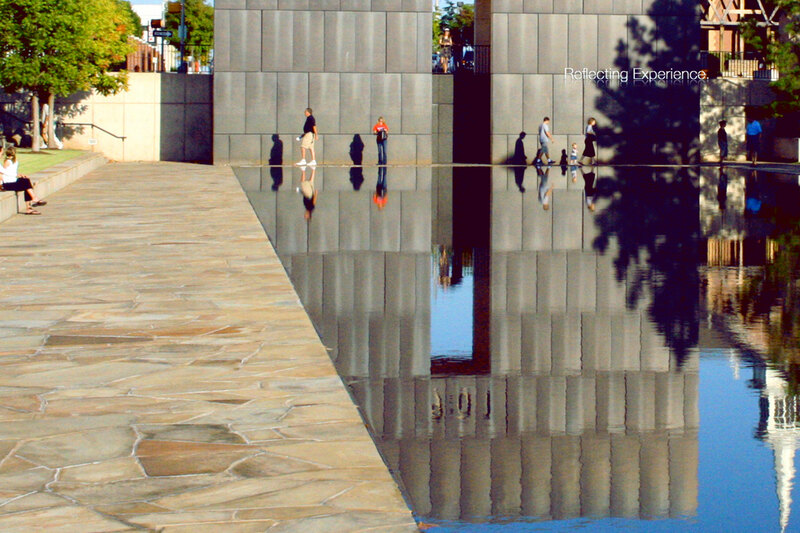 Our attention to detail has saved our clients, like the Oklahoma City Memorial & Museum, the extra frustration, energy, and money from dealing with regrets after construction. 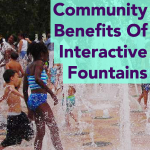 We believe that by taking the time to look at all aspects of design we allow our clients the peace of mind they, and the people their fountain honors, deserve.